Home › news › Tottenham’s Fans, How Well Do You Know Kevin Wimmer ? Tottenham’s Fans, How Well Do You Know Kevin Wimmer ? 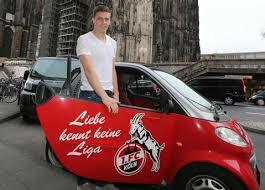 The 22-year old centre-back, was born in Wels (Austria) and began his career in his hometown local club. He’s quite tall( 1.87m/ 6ft 2in) and weighs 85 kilos. He was spotted at the age of 10 by a scout from LASK Linz and signed up to their Academy. After an essay in midfield, he was moved back in defense, a better position for his attributes. He signed his first professional contract in July 2011 and started playing for the first team, the same month. After 27 starts, during the 2011-2012 season, he was transferred to FC Cologne (250M Euros, transfer fee). Playing in Germany wasn’t an easy transition, but the arrival of his countryman Peter Stoger as Head Coach, for the 2014- 2015 season, helped him to adjust. “Kevin was a bit overweight and he didn’t gave the impression to know what he was doing. I told him to work his body, his passing and his defensive heading” explained later the Austrian coach. 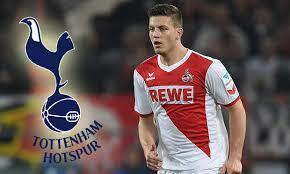 After a successful season, Cologne were promoted and Wimmer signed a new contract through to 2019. His performances attracted the attention of several clubs, but it seems that North London will be the player’s next destination. Will he be useful to his new club? For a young player, Premier League’s games, are not easy to deal with and it could be even harder for a newcomer. Wimmer is a solid, well-built, left-footed defender, able to clear his lines and also to provide some good passes up front. He lacks technicism though and concentration isn’t always present in his game; youth’s fault ? He can tackle and challenge his opponent, but avoids the man to man marking job; is he too cautious ? He’s quite good, when using his height to win his aerial duels ( 58%). Nevertheless he’s still young enough to improve in several domains. As Younès Kaboul and Vlad Chiriches are hopefully on the move, Wimmer’s arrival could strengthen Tottenham’s leaky defense and the addition of another youngster, keen to develop his skills, under Mauricio’s Pochettino guidance, £5M(estimated fee), could be a good price, if the player carries out the fans’ wishes and hopes. ‹ Ezequiel Lavezzi, Tottenham bound ? Another Silly Season Rumor.